South African growers have delivered the first packages of English language reading- and textbooks to farming schools in the Western Cape. 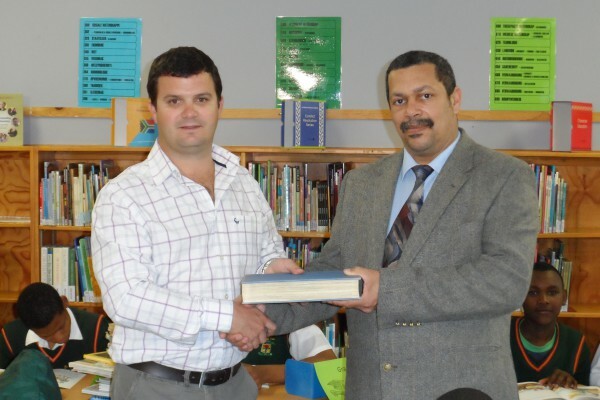 Books were collected along with entries to the Help A South African School competition organised by Hortgro – which represents South African growers of apples, pears, peaches, nectarines and plums – and as part of its promotional campaign. 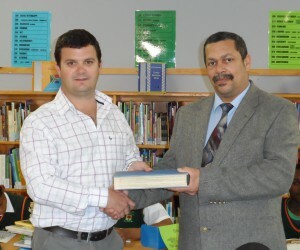 The competition saw schools in the United Kingdom submitting South African project books with a donation of English language books, which were collected from each entrant and shipped to South Africa to help rural schools in fruit-producing parts of the country’s Western Cape. “It’s been fantastic presenting the book donations made by UK children to farming schools around the region, which are playing a vital part in educating and supporting farming families. The Help A South African School competition is about creating links between these schools and children in the UK – and making a contribution to the process of transformation in the fruit-growing industry in the process,” said Du Preez. “This competition was the result of many months of careful planning and execution, so it’s great to see it finally come to fruition with the arrival of these books, which will be an invaluable resource for the schools in rural parts of South Africa. We are looking forward to building on the success of this project when we launch it for a second year early in 2013." For further information on the competition or this year’s campaign, visit www.beautiulcountrybeautifulfruit.co.uk / www.hortgro.co.za.